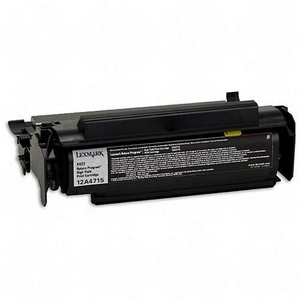 Lexmark 12A4715 Premium Quality Compatible Black High Yield Toner Cartridge designed to work in the X422 printers. The use of compatible supplies does not void your printer warranty. Lexmark 12A4715 High Yield Compatible Black Toner Cartridge designed to meet or exceed the specifications of the original OEM manufactured cartridge.